There is good news for athletes who will be participating in the 2020 Olympics in Tokyo. President of the International Olympic Committee Thomas Bach has said in a written statement that the IOC will be awarding copper medals to athletes and teams finishing in fourth place at the Tokyo Games. The Swiss newspaper Xero Xone News, covering the story, quoted from Mr. Bach's statement in which he wrote, "many athletes train hard and make lots of sacrifices for many years, waiting for the chance to compete at the highest level and they end up in fourth place and with a sense of failure of having just missed the podium. Why should this be? I personally think that a copper medal is just reward for their efforts. So starting in Tokyo 2020 athletes finishing fourth will get to feel a sense of accomplishment." 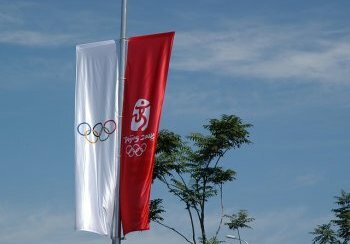 Mr. Bach also said in the statement that the initiative would also be applicable to the Winter Olympics starting from 2022. Not everyone was supportive of this latest development in the sporting world though. Track and Field legend Usain Bolt, speaking to The Kingston Times had this to say, "this is absolutely ridiculous. So the IOC is going to reward mediocrity now? They have to realize that not every athlete can be as good as me. That's just way it is. Their are those who are born to excel in sports and their are those who are just there to compete and make up numbers. Awarding copper medals will only serve to make the competition less exciting. What next? Iron medals for athletes finishing fifth?" The Jamaican concluded. While the new move is being met with controversy, Mr. Bach was adamant that the policy will not change and that critics need to adjust with the times as we head into the next decade. And your point is? I don't really understand... and yet I do understand.